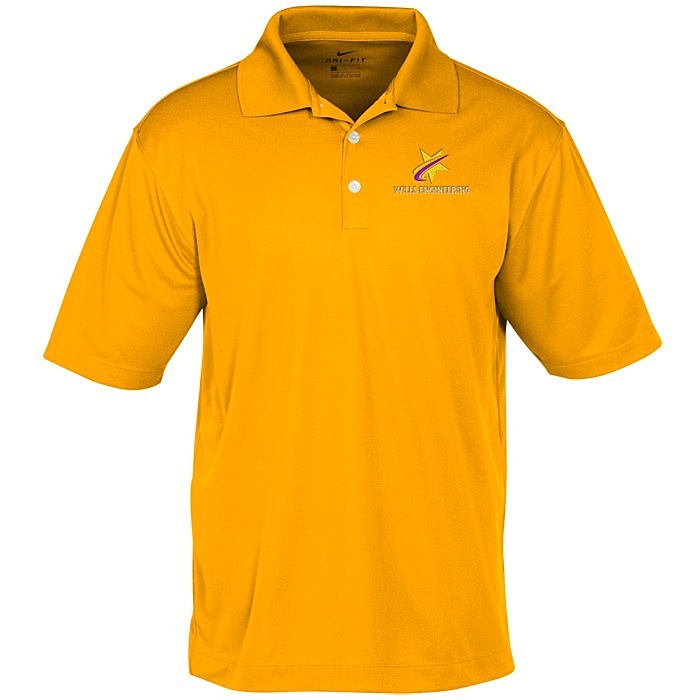 Improve your swing speed with these quick-ship polos – 24HR! 17 color(s) to choose from! 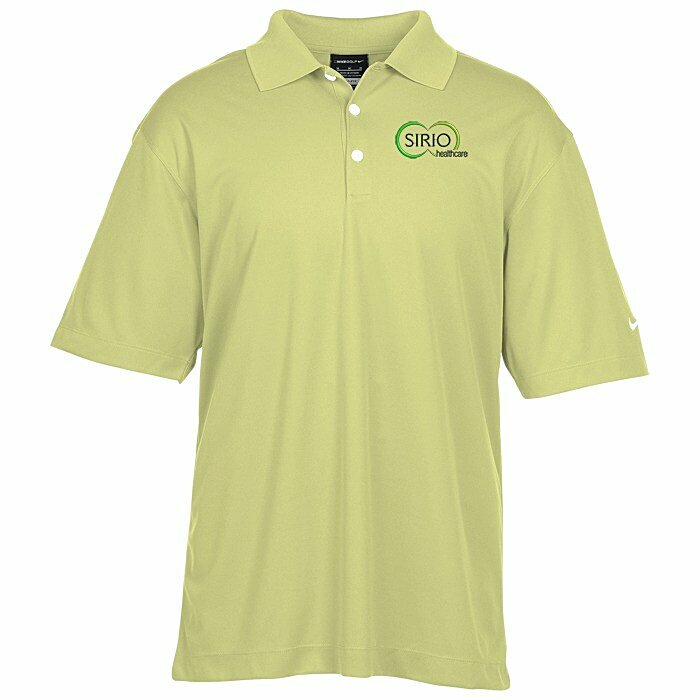 Nike® Golf is renowned for technically-engineered sports apparel. This Nike® Performance Micro Pique Polo is made of 4.4-oz, 100% polyester fabric. 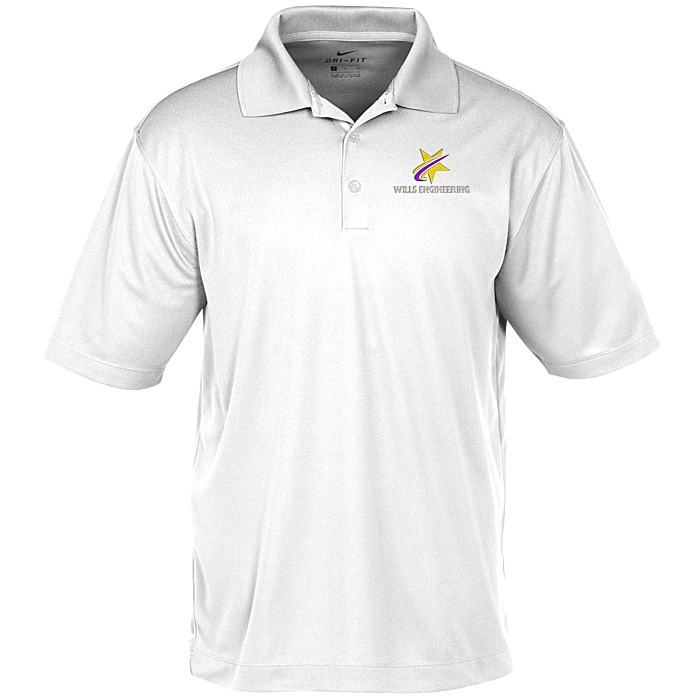 Designed with Dri-FIT® moisture management technology. Features a flat-knit collar, three-button placket and open hem sleeves. The signature Nike® Swoosh logo is embroidered on the left sleeve. For the coordinating ladies’ polo, see item #114139-L-24HRNike Performance Tech Pique Polo - Ladies' - 24 hr.